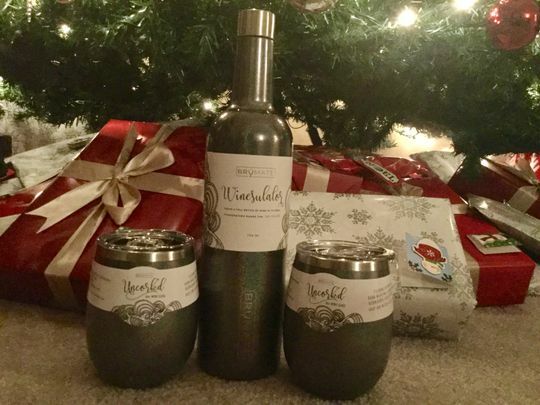 Hide cheap wine in a fancy bottle! This was purchased as a gift and I plan to get one for myself now. The color is a really dark charcoal with tons of shimmer and sparkle to it. All of Brumates products work wonderful to keep drinks cold for hours and hours. 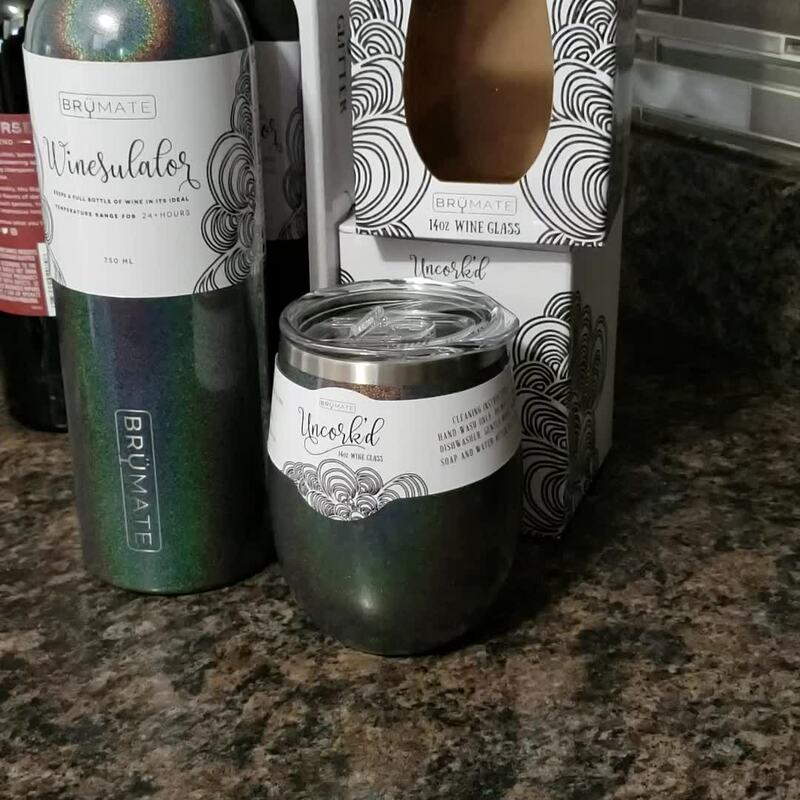 Love the expandable rubber funnel for the Winsulator, the glitter charcoal is beautiful, the tumblers are a perfect size and if it's been a particularly rough day, you can drink straight from the Winsulator. 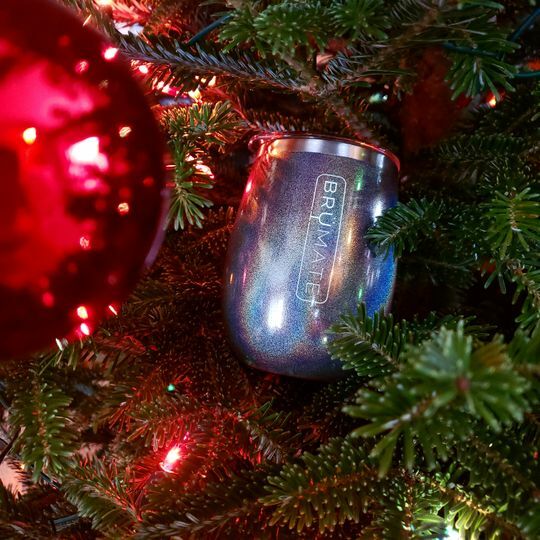 This is the perfect gift for Christmas. Perfect to take to any BYOB party. No need to fight for fridge space, your wine will stay at the perfect temp all night long! Keep it close though, everyone will want one! Best thing ever! We had wine in our insulated bottle for over 24 hours and was still at an amazing temperature. I use this set everytime I go to the beach or travel. Great color and they stay cold.